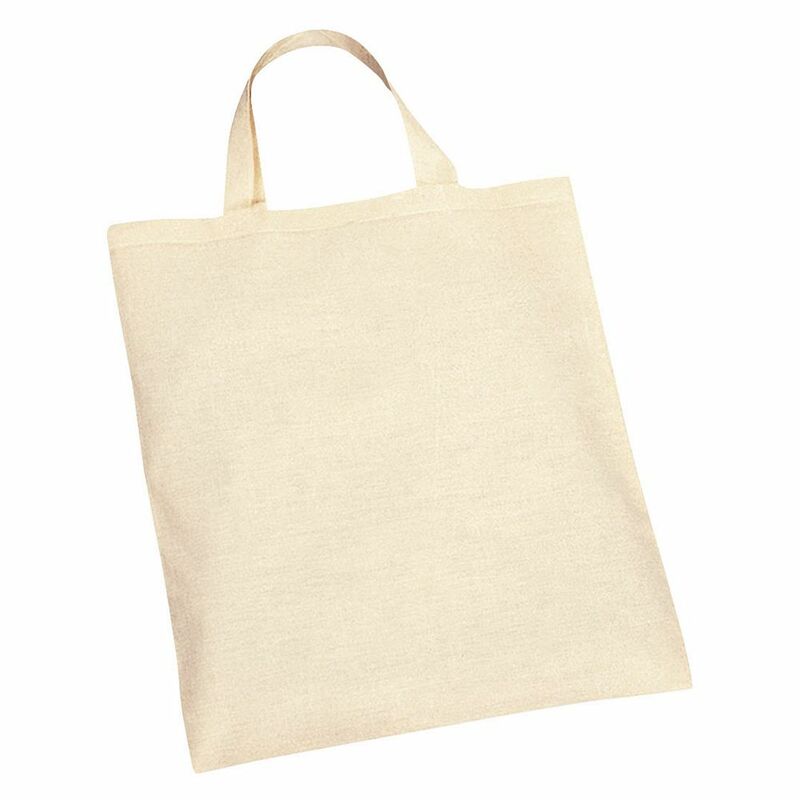 eBuyGB natural 100% cotton shopping tote bag with short handles. This versatile, unisex bag is the ideal accessory for grocery shopping as it can be packed away and reused when needed. Simply keep the bag in your car or bag when you shop and keep your items organised in your cart. 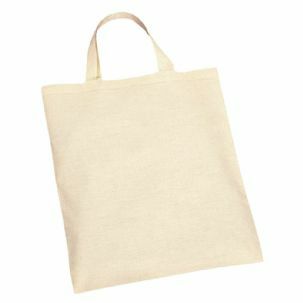 These totes are modern and fitting with all attire, they have a soft natural finish and are strong with a large capacity. 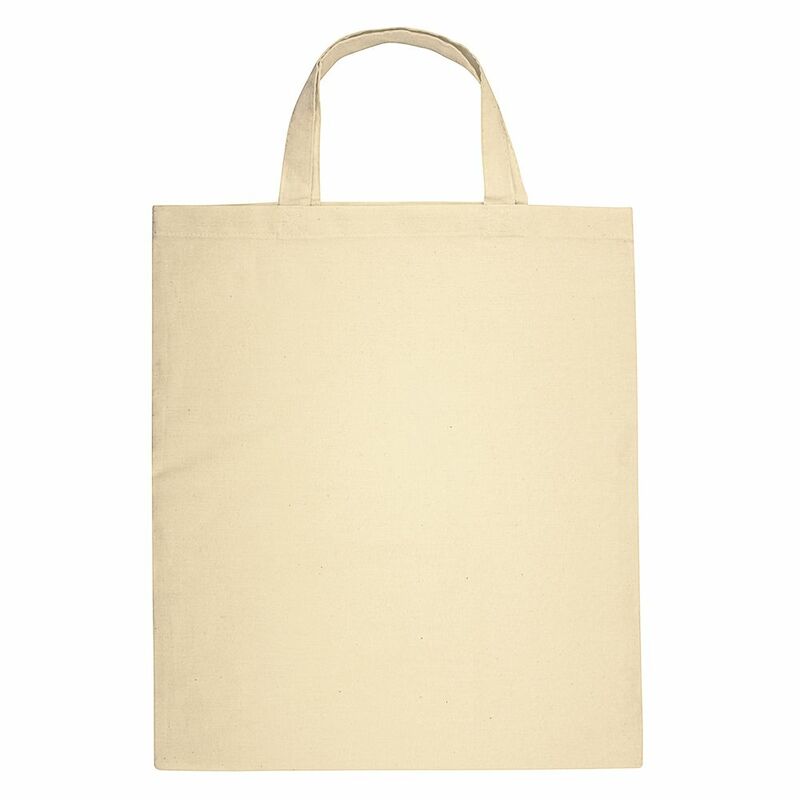 Reduce the use of plastic with these shopping bags, they are eco-friendly, sustainable and vegan friendly. The short-handled feature means the bag can be held easily in your hand or rested on your arm. 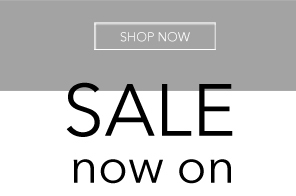 Not only is this great as a shopping accessory but it is perfect as a craft item as it can be screen printed, iron transfer printed and painted on to customise it to your preference. Dimensions Bag Only: 41 x 37 x 1 cm. Dimensions Handle Only: 17 x 15 x 1 cm.